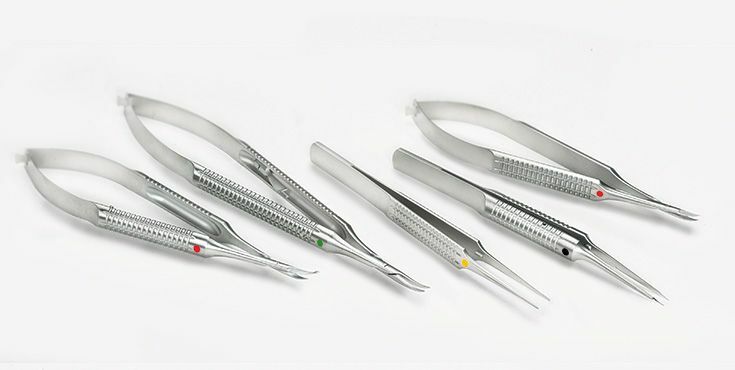 Hand surgical interventions nowadays request more than just basic instruments. Besides indication-related systems the need for special products containing supporting functions is more and more increasing. However, the necessity of those products is often under-estimated. Therefore we set our target to offer easy-to-use instruments and systems in this meaningful field. Thus we for example provide self-retaining wound spreaders to grant autonomous and unaltered exposure of small access openings or components to achieve intraoperatively the best possible fixation of the hand. Not only do we take care to use only the best materials, we also are precise in every fabrication step: 100% control, 100% “made in Germany”. Experience this perfection with our reliable, perfectly balanced and glarefree instruments made out of steel or titanium. This is where design meets precision.